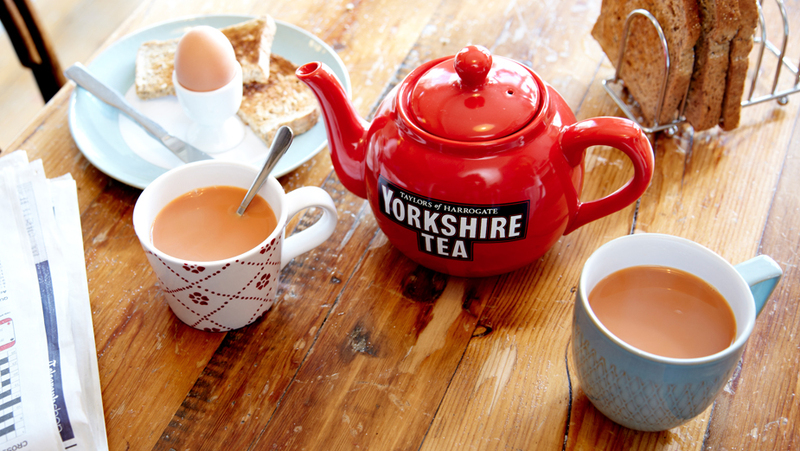 Most Brits start the day with a brew - but it hasn't always been that way. In this guest post, Emily Berry, one of the people behind new book The Breakfast Bible, charts the origins of this cornerstone of the breakfast table. If you have a grandmother, or have spent any time in a secondhand shop, you are likely to have encountered a royal wedding commemorative tea caddy. You may not be surprised therefore to hear that the popularity of tea in Britain owes much to its association with royalty. Introduced into Britain in the seventeenth century, this watery elixir received its first royal endorsement from a foreign princess, Catherine of Braganza, the Portuguese wife of Charles II. She had grown up drinking tea in her native land and naturally brought a large casket of the stuff with her on her voyage to England in 1662, inspiring a fashion for it in the royal court and subsequently among the upper classes. Tea (both green and black) was initially a delicate, afternoon treat drunk from dainty porcelain bowls, and remained for some time a rather elite substance until a combination of factors led to its gradual seepage throughout the class structure, turning it into the class-boundary-busting drink it is today. How precisely tea came to be a breakfast staple is not entirely clear, but by the mid-eighteenth century its position on the breakfast table was well established. One theory has it that Queen Anne, Charles’s successor, initiated the trend when she chose tea over ale as her customary breakfast drink, and her subjects began to follow suit. Prior to this time tea’s ascension had been somewhat hindered by a combination of high prices, heavy taxation and a resulting black market in adulterated tea, known as ‘smouch’. This could contain anything from used real tea dyed to look fresh, the leaves of other plants, clay, molasses and most worryingly, sheep’s droppings. Fake green tea was easier to get away with, and it may be for this reason that black tea became more popular, being more trustworthy. Black tea is also, of course, more caffeinated, due to its higher oxidisation, which is surely another reason behind its popularity at breakfast-time. Interestingly, the blend we know as English breakfast tea is in fact thought to have been the creation of a Scottish tea master named Drysdale, who in 1892 saw the need for a stronger flavoured tea – what he called an ‘eye-opener’ – to cut through the heaviness of the average breakfast. To meet this demand he developed and marketed a blend known as ‘breakfast tea’, which was tasted and admired by Queen Victoria during a stay at Balmoral. She subsequently brought a stash back to London with her, where it was controversially renamed ‘English breakfast tea’. Yet again tea had a queen to thank for its popularity, if not for the fragility of English–Scottish relations. So spare a thought for the queens of England over your morning cuppa, without whom breakfast might have been a completely different story.